The Zhejiang-province capital of Hangzhou has unveiled plans to establish China’s first “fintech county” in the district of Binjiang. The Binjiang District Development and Reform Department (滨江区发改局) recently announced that it is in the process of creating a “fintech county” that will be the first of its kind in China. 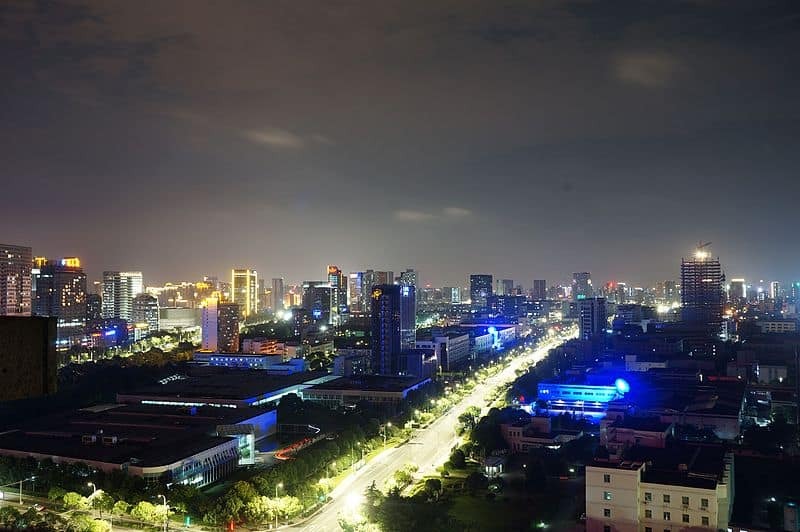 The “fintech county” will cover 4.4 square kilometres, extending to Binsheng Road in the north, Shidai Avenue in the east, Dongxin Avenue in the west and Hangzhou’s Southern Ring Road in the south. The fintech county will host a fintech industry centre, the headquarters for a host of fintech companies, as well as high-level fintech research institutions, with the goal of creating a key industry hub and incubator. Binjiang district has set the goals of hosting 100 fintech enterprises by 2020, as well as incubating 5 “backbone enterprises” with main operating revenues of over 1 billion yuan and one “dragon’s head enterprise” with main operating revenues of over 5 billion yuan. By 2025 Binjiang hopes to host over 200 fintech enterprises, incubate 10 enterprises with main operating revenues of over 1 billion yuan and 3 enterprises with main operating revenues of over 5 billion yuan, in order to become a leading fintech innovation hub. Binjiang is already host to the offices for broad range of leading internet, finance and tech firms, including Alibaba, NetEase, H3C Technologies, Hundsun Technologies, Sunyard System Engineering, NetSun, LianlianPay and PingPong Finance, that cover the gamut of payments and settlement, online lending, big data, blockchains, cloud computing, artificial intelligence, robo-investing and smart contracts. PingPong is one of the region’s standout new fintech companies, obtaining payment licenses in the United States and Japan. PingPong CEO Lu Shuai (卢帅) said that PingPong enables over 90% of Chinese vendors to receive funds from cross-border trade payments within 24 hours, with an average withdrawal fee of around 1%., saving sellers in China around 300 million yuan in acceptance fees. This entry was posted in Fintech and tagged Binjiang, Binjiang Fintech, Chinese fintech, Hangzhou. Bookmark the permalink.